The Hammer Rip'D Pearl combines the greatest qualities of its two predesessor balls. the Agression Pearl CFI coverstock and 3-step 3000 grit finish help get this bowling ball throught he front part of the lane easily and it is able to read the mid lane as well as offer a strong backend. This bowling ball is Carbon Fiber Infused! Carbon fiber is one of the toughest materials on earth. Hammer decided to add this material to the inner core of this ball for added strength and durability allowing them to offer an incredible 3 year warranty. The Rip'D Pearl is a nice addition to the Hammer line. The Aggresion Pearl CFI coverstock provides the push down lane needed compared to the Rip'D or Rip'D Solid, and the backend is definitely stronger. The ball has a continuous motion through the backend, and does not give you that over under reaction on wet/dry house conditions. I believe the 500/1000/3000 Abralon finish on the cover stock is what assist with this. Likes: I really like the Rip'd Solid and Hybrid so I was exciting to try the Pearl. I knew it would be a little less on reaction than the other 2 just because of the pearl in it. I went with a very close to my hand layout meaning whatever I do off my hand will dictate what I see out of the ball. After my session with it, I found it to be just as smooth in reaction as my other 2 Rip'd balls and just offered a little more length as it was cleaner through the fronts. The carry seemed to mirror the carry of my Rip'd hybrid just not as early in the lane with reaction. All in all - this now makes a complete family in the Rip'd line. I could roll into any tourney and these 3 would be in my bag. 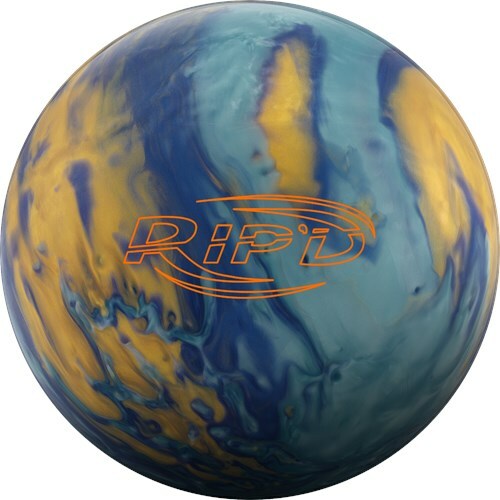 Likes:The Rip'd Pearl is a nice compliment to the Rip'd Hybrid and Rip'd Solid. For me, the Pearl reads the mid lane well and is not overly flippy in the back. Out of the box, it's not the Pearl shine that we're used to seeing but this piece will respond well on medium oil patterns. On drier patterns this ball will still be in play but a little shine will give ultimate results. Page created in 0.737 seconds with 22 queries.